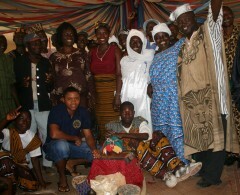 The first vase for Africa was buried in Liberia, West Africa on the winter solstice 2009. 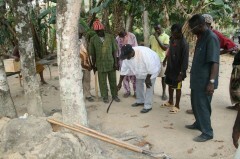 We returned to Liberia in March 2011 to water the seeds of peace. 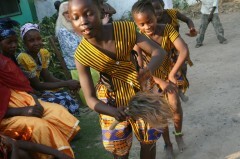 To learn more about our second journey to Liberia and watch the companion video, please click here. 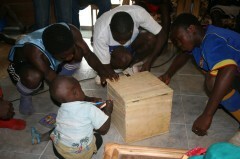 The seeds we first planted in 2009 have now flowered into the Liberia Peacebuilding Project. Please click here to read about our unique efforts to support peace from the ground up for the next four years. I had been contemplating Africa for years, visualizing the whole Earth and all the places that need healing and protection in order to know where to take the 30 earth treasure vases I had been entrusted with by Charok Rinpoche. Somehow, if real healing of the Earth is to be accomplished, real peace is to be achieved and this spiritual practice from Tibet is to take root and be effective all over the world, then the indigenous elders who steward the lands we are visiting in pilgrimage with the vase, must be informed. We must make relations and their blessing must be sought for the ceremony to be successful. They must invite us and make the practice their own. Over the years, we have tried to do this wherever we have gone, but Africa was another story; unfamiliar terrain and a world apart. In October of 2008, my friend and advisor, Deena Metzger invited me to bring an earth treasure vase to the closing ceremony of the annual meeting in California of a group called the everyday gandhis. 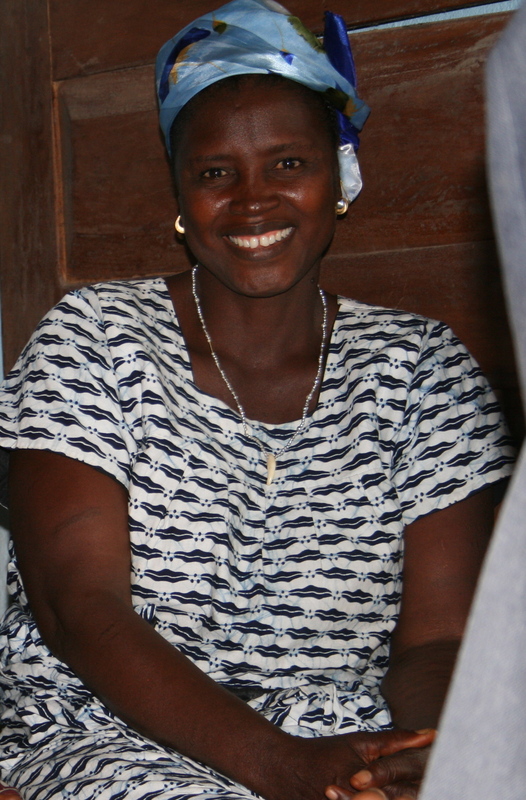 This group is working with ex-combatants and former child soldiers in Liberia, along with women and indigenous elders, to bring healing to that land and to the people who have suffered a long history of oppression and injustice, especially in Voinjama —the worst fought area of a civil war that ended in 2003. Founded by freed slaves from the United States, Liberia had been governed by fighting warlords for too long but thanks to Muslim and Christian women who came together to stop the war, Liberia now has the first democratically elected woman president in all of Africa and has become a model of change…if peace can be sustained. Encountering the everyday gandhis and their dedication to peace-building was a powerful experience. At that first ceremony, I offered the vase to the group and they poured their prayers into it; prayers that expressed a desperate need for healing and for lasting peace. I was left holding a vessel full of enormous grief, loss, and suffering as only comes from war…and everyone’s heartfelt wish to move on with their lives in peace. I knew then that I had to take the vase to Liberia to honor the prayers it contained and fulfill its mission. I understood that Liberia was our gateway to Africa for this practice and that through the invitation of the everyday gandhis, we were making relations to open the way for the ancestors to invite this practice to their land, the soil of so much suffering now begging to be transformed and restored. The pilgrimage in Liberia began when William Jacobs, aka Uncle Jake, met our much-delayed plane at midnight. 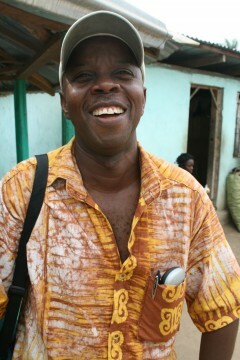 Uncle Jake, acting coordinator for everyday gandhis in Liberia, is beloved by refugee children like a real pied piper, and proved to be a true bodhisattva who took care of every aspect of our time in Liberia, second only to Christian Bethelson, whose captivating presence and passionate commitment to peace make him a man I am grateful to know. Bethelson is an ex-combatant former general in the rebel army turned peacebuilder now working with everyday gandhis ex-child soldiers. Both Jake and Bethelson are part of the extraordinary organization there called everyday gandhis who invited us to bring the earth treasure vase to Liberia. We spent time with both of them in Monrovia along with everyday gandhis co-founder, Bill Saa, who was nothing short of wonderful and did much to ensure the success of our mission. 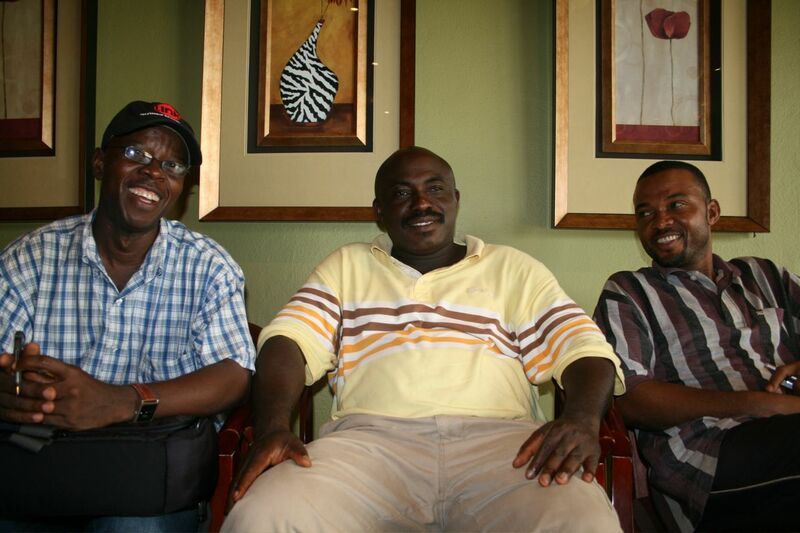 These men had all been present in the US when we initiated the earth treasure vase for Liberia along with everyday gandhis co-founder and director, Cynthia Travis. 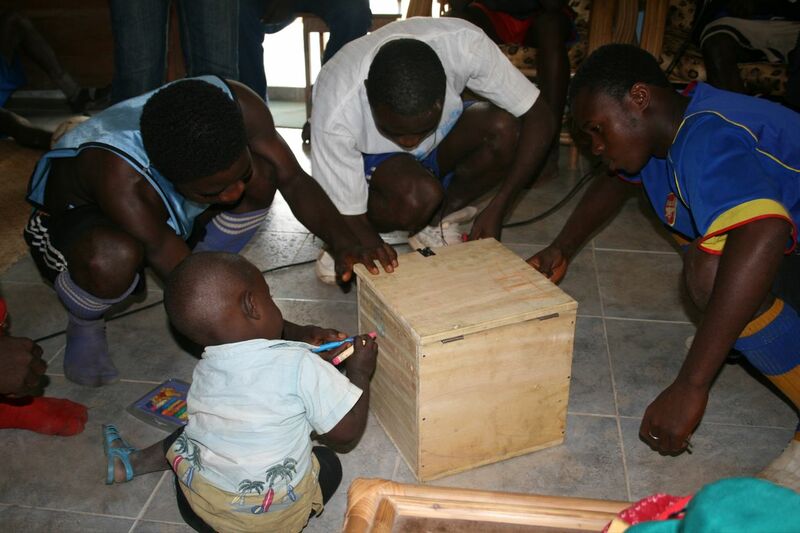 With Cyndie in the States and Bill in Liberia, they did everything to open the door and pave the way for the earth treasure vase to be well received in Liberia. 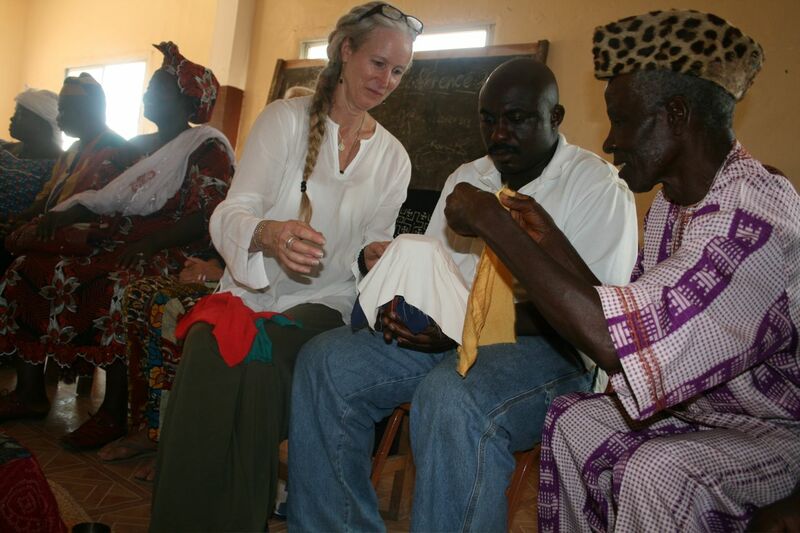 Traveling with me was Tertit Ring, a Norwegian friend on a personal healing journey – and of course, the vase, fully blessed from our time in Mali. Leaving Monrovia, we traveled by Jeep on a road that was not a road for 12 endless hours before reaching Voinjama, the base for everyday gandhis near the borders of Guinea and Sierra Leone. We were greeted by numerous everyday gandhis staff members who had waited up for us, offering warm hugs, hot water and a special handshake that told us we were home. From the moment I arrived, I felt such a strong connection to the women, especially a wonderful healer and diviner named Mahwen Gayflor, who one day performed a divination in her house. 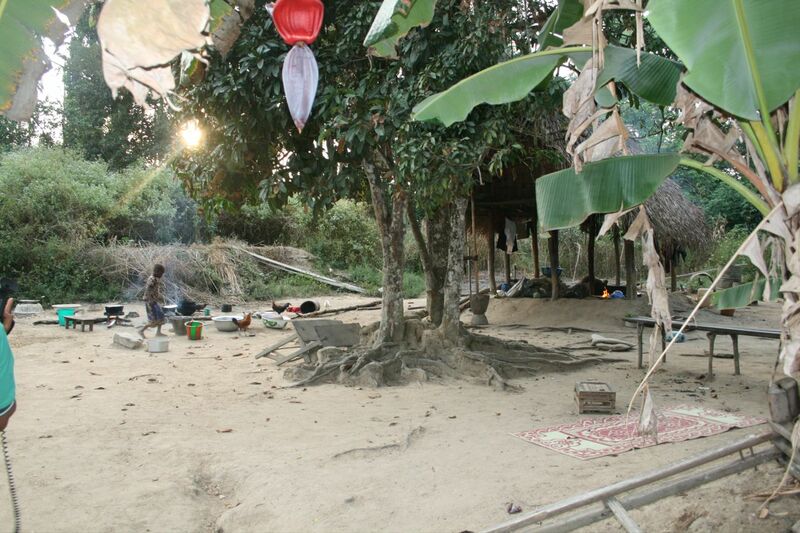 I watched as she sat with legs outstretched and tossed cowrie shells and many other gathered objects from her bundle on a straw mat in front of her in a small mud and thatch room, offering guidance from the ancestors. The beautiful women, Mama Kaneh and Hawa Kamara, ran the everyday gandhis guesthouse while pursuing their own peace-building work with ex-child soldiers and former combatants in the area. Esther Kpaku, a former child soldier, now a ‘future guardian of peace’ with everyday gandhis, used my still camera to photograph everything. (One of the programs of everyday gandhis is to train the young people in photography and empower them to tell their stories). I sat on the porch one precious afternoon talking with Mahwen and Farbalee, the amazing drummer and leader of the culture troupe, before Lassana Kamara came and scooped me up for another meeting I had with the various groups of interested members of the community to hear about the earth treasure vase. 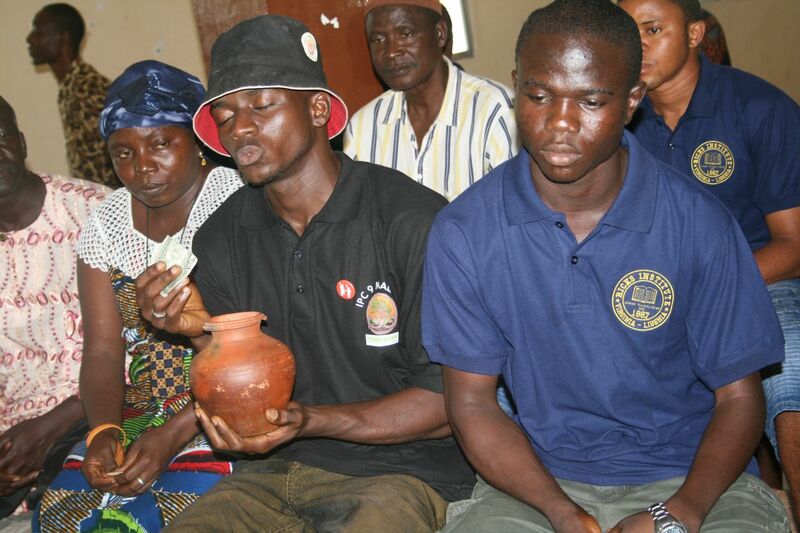 Kamara served as a local community liaison to organize and facilitate gatherings to invite the acceptance and approval for the earth treasure vase from the local traditional leaders, both young and old. 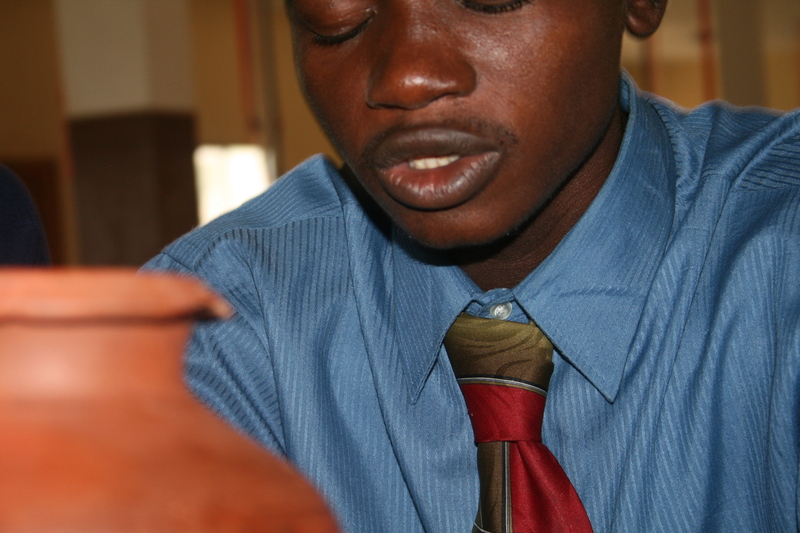 He worked hard to organize the many elders, officials, women, youth and visiting dignitaries from Guinea and Sierra Leone to come together around our shared intention for the vase, taking great care to include everyone so that there were no mysteries or misunderstandings around the purpose of the vase, all according to tradition. Kamara also took me to a local carpenter to make a wooden box to bury the vase in and to a blacksmith who attached some old copper on the inside lid of the box to conduct the energy of the prayers from the vase out into the Earth as is traditional. treasure vase box, which they did with gusto by drawing and writing messages on all four sides, top and bottom, inside and out. Even some of the elders got into the action! And I challenged them to keep our dialogue alive by using communication technology as a way to connect around the world in an ongoing effort to put their prayers into action. We all shared our thoughts while holding a small crystal I have carried with me everywhere for over 30 years. This crystal was then offered into the vase at the closing ceremony. One evening, Mahwen and her assembly of women performed an important dance ritual to invite the ancestors and ask for their blessing and guidance around the earth treasure vase. 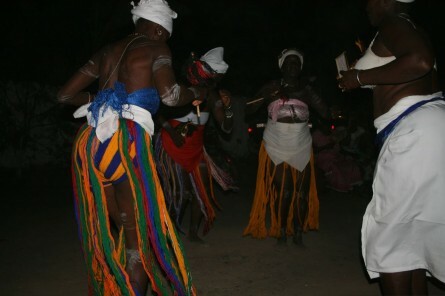 As the women entered a trance, the ancestor spirit of the late Paramount Chief* came and told them that the work I was bringing was very important. He said they should take what we were doing seriously and that the ancestors were very happy about it. I found it interesting that it was the late Paramount Chief who communicated this because as it turned out, after much conferring amongst all the elders about the burial location, the site that was chosen was the village of the current Paramount Chief. It seemed that all members of the community, both living and deceased, naturally understood the purpose of the earth treasure vase and were in favor. The morning of the final ceremony began with a gathering of guests and dignitaries for a traditional sheep slaughter. I made my way around the circle greeting each one present and visiting with Honorable Jallabah, a passionate county government representative with sparkling eyes. I was moved to watch Master General, another ex-combatant now peacebuilder with everyday gandhis, crouching in the center of the large circle holding the sheep, stroking and petting it, talking to it and kissing it, and was grateful to him for his tender loving care of the animal as everyone gathered and prayed over it before its death. Dancing and drumming completed the morning ritual before we headed to the Voinjama Town Hall for the big ceremony. Jake and I noticed two large eagles circling over the compound as we prepared to leave. We took it as a good omen. There must have been close to five hundred people at the final ceremony! All the government officials and chiefs, three representatives from Guinea and two from Sierra Leone, staff members of everyday gandhis, many women, many children, ex-combatants and former child soldiers, the culture troupe with all their drummers and dancers – everyone was there. It was a huge circle inside of a big empty hall…and it was thrilling. I set up the vase and box on a divining mat like Mahwen’s that I had been gifted, with a calabash bowl full of dried flowers I had brought from home and another filled with leaves from the Kunje tree, a plant we gathered in Mali known for its properties of healing and protection from all negativity. 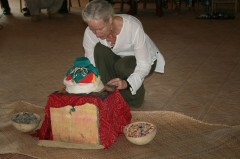 I had many pouches and bags of other offerings, my bell and sage, and a heart full of humility in the face of this first earth treasure vase gathering in Africa, so powerful because of the desperate need that brought everyone together across tribal and religious differences to strengthen the fragile peace between them and rebuild their communities. There was singing first, then welcoming by Kamara and Bill, after which I was asked to speak about the earth treasure vase, this ancient practice coming from faraway Tibet. I was honored to ring the bell and invite all present to join together in meditation before sending the vase around the circle to receive people’s offerings and personal prayers. The guided meditation had to be translated into three languages for everyone to understand, and although the circle was large, the people were attentive during the long translations. Finally, the vase was opened and passed, warm hand to warm hand, all the way around the circle. As the vase traveled and was held by everyone, each took the opportunity to make an offering and add their own prayers for peace. It was beautiful to see Master General accompanying the vase the entire way around the gigantic circle, overseeing it, protecting it, making sure it was passed with care and attention and handing it to the next person if it was a far reach, maintaining his concentration on it throughout. He seemed to know just what to do without our ever exchanging any words. When the vase had traveled full circle and was filled to the brim, I was told to seal it while the drumming and dancing got underway. 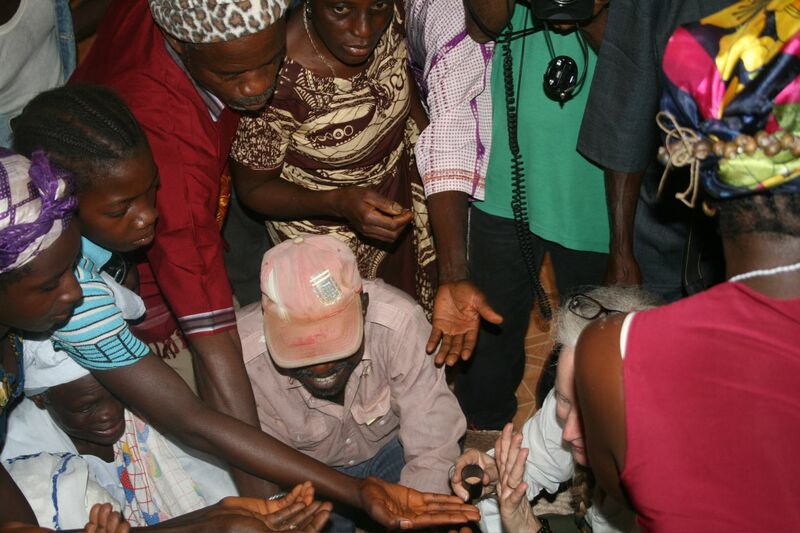 Bethelson came to my side to help along with the Paramount Chief and others who were nearby. We melted wax over the cork and then placed the silks and ties over and around the vase. 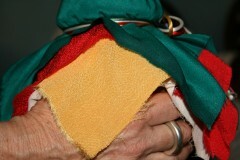 The Chief helped to melt the gold sealing wax on the ties and stamp it officially closed. Dancing was now fully underway with Bethelson, among others, giving a hilarious performance — the excitement building. As the drumming continued, people began to gather around the vase. We paused to take some photos, and then it was time to put it into the box. Mahwen came forward to help me and there was a wild crush around us as the vase went into the box. I had a red scarf from Deena Metzger and three white katas (Tibetan ceremonial scarves) to wrap around the vase and many bags of herbs, flowers, rice and other things to pack around it. 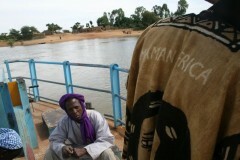 With each new bag of offerings it seemed a hundred hands reached in for something to add into the box as an offering. I wished I had had a lot more to share. When we used up every last bit, the box lid (with the copper inside) was closed, the little padlock secured by Mawhen, and the key deposited securely in her pocket. It was done. Everyone scooped up the box and we all began to dance with the box held high and much enjoyment all around. We danced to the singing and drumming until we all made our way outside, the celebration continuing even as we loaded into the vehicles to go back to the compound for lunch where many ate the meat that had been cooked since the morning’s sacrifice from a common bowl. 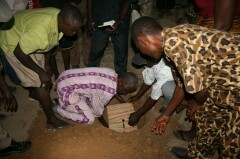 Around four pm the small group selected by Kamara, gathered to take the vase to be buried. 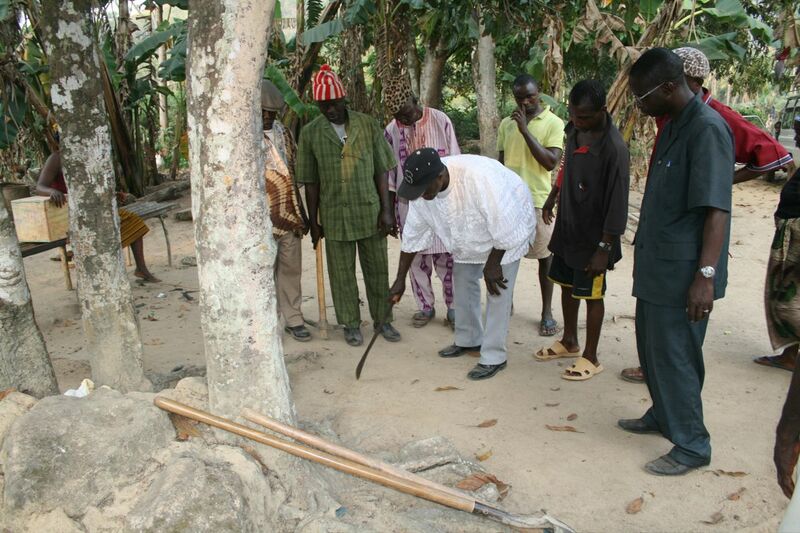 The site had been decided upon collectively by the community elders; I had not been involved in that process. Everyone seemed happy and clear about the location: the village of the Paramount Chief Bessa Talawoyan, who had previously given this land for a Cultural Heritage Center. As the shadows grew long, we drove to the outskirts of Voinjama district and arrived at the little traditional village of the Talawoyan family. We were greeted by the Chief’s wife and extended family who told us that they had heard a bird singing in the Kola tree since early morning so they knew that visitors were coming. Kamara explained why we had come and then, with the Chief leading the way, they marched up to the Kola tree in the center of the little village. Standing at its base they indicated where the vase should go and quickly marked a spot at its roots. The Kola is considered sacred and is highly valued for its nut, which is given as an offering to someone out of respect and eaten for its healing energy. With picks and shovels, the younger men began to dig. The hole needed to be quite deep and fairly wide, getting down underneath the roots of the tree and the hard packed soil. Suddenly Master General arrived on his motorbike, having followed us on his own to oversee the digging of the hole, immediately encouraging them to go deeper and get it right. Finally the Earth was ready to receive the vase. The Chief lowered it into the hole and just as it was almost in, Master General stopped him and made us turn the box so that the lock and front of the vase inside was facing east towards the rising sun. I was so happy he had noticed this final detail, an important Tibetan tradition, because by this point, I had long ago stepped aside. Having delivered the vase, it was now in their hands to bury. 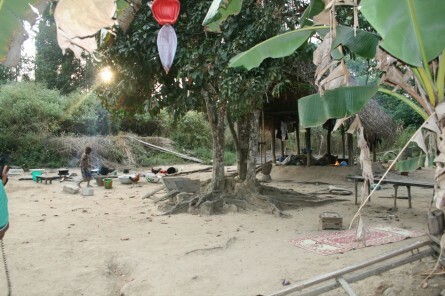 The vase was planted at sunset facing east under the roots of the Kola Tree in Talawoyan Village, Voinjama District, Lofa County, Liberia on the Winter Solstice, December 22, 2009. The committee of elders asked if there were any special instructions for the vase once it was buried. I told them normally it is buried in a place no one would know, but in this case because so many members of the community had become involved, I hoped that the burial location would now become a place of refuge – a pilgrimage place to remember the prayers for peace and strengthen our collective intention that those prayers take root and grow strong, bearing much fruit in the years ahead. I did suggest that to show proper respect for the vase it should not be stepped on and that the actual burial spot should be protected. Someone suggested putting cement over it but we quickly decided it would be better if the land and roots could breathe. 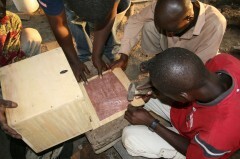 Together we imagined that a bench could be constructed all the way around the tree that would protect the vase and provide the beginnings of a place to gather at the heart of the village. Bethelson and the everyday gandhis team is already at work with the community to develop a little peace garden there, the beginning of the envisioned Heritage Center. That night, back at the compound, the everyday gandhis staff hosted a goodbye ceremony, gifting us with gorgeous traditional robes. Reluctantly, I said my goodbyes, crying as I had so many times throughout our time together. I left behind a small mindfulness bell for them to ring and remember the vase and the presence of peace whenever they stop to invite its sound. We left for Monrovia early the next morning. It was hard to leave those incredible people and that war-torn land where we had been so warmly welcomed, but I felt enormously happy that our prayers for peace and healing had been brought successfully to the region and now lay buried in the Earth radiating out in every direction for all time. 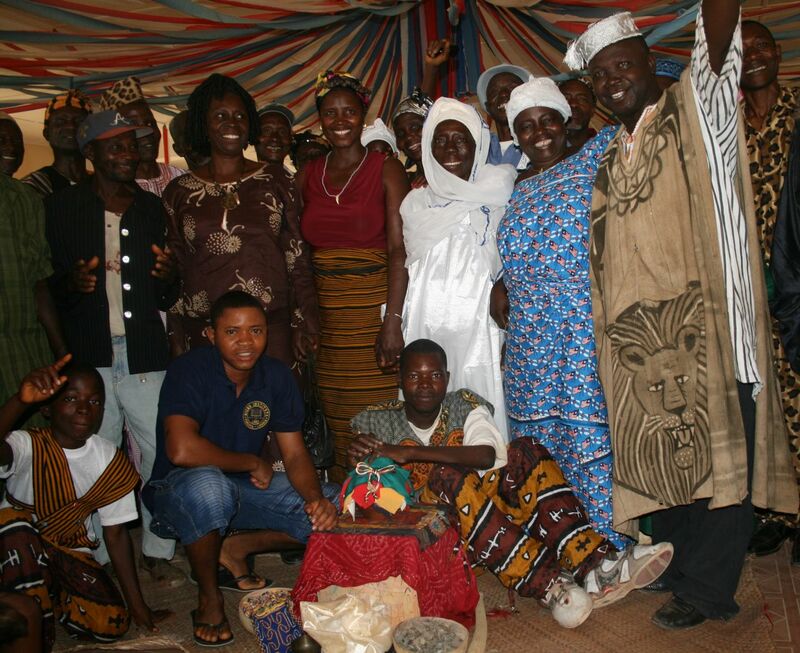 • Paramount Chiefs: Liberia has a complex system of regional chiefs and tribal customs and there are many “paramount” chiefs all over Liberia. This entry was posted on Thursday, April 29th, 2010 at 1:08 am	and is filed under Burials. You can follow any responses to this entry through the RSS 2.0 feed. You can leave a response, or trackback from your own site. Thank you, Judy, and thank you for your great good work! We welcome any insight you would like to share about your experience supporting women in their peace-building efforts in Liberia. I received your contact info from Michael Grant from Santa Fe. He thought we may have things in common and he is so right. i too have been to Voinjama and spent time with the child soldiers, thanks to Cynthia Travis and everyday gandhis. It is a journey I will never forget. Ah, to hear those names again;Bethelson, Akoi, Morris, Mahwen, ..Bless you on your journey and let’s keep the channels open. Powerful !!!!!! I have a difficult time internalising all the information. It will take me some time but I know it will eventually come. My sincere thanks for making all this information available .